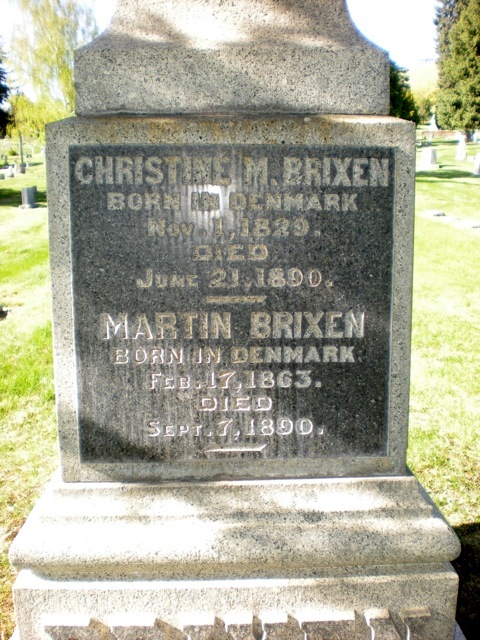 Christine was Andrew Brixen's mother. Martin Brixen was his brother. Both died a few months apart in 1890. Martin was only 27.